Decent priced FUE in Europe, or anywhere? I asked this back last year but is there anyone decent doing good FUE in Europe now sterling is shagged against the euro! I had kind some replies r.e guys in Brussels. I was going to post some pictures of my bald locks but my PC blew up. Or is it worth going to India to Dr A? » Europe now sterling is shagged against the euro! » pictures of my bald locks but my PC blew up. » Or is it worth going to India to Dr A? » Thanks for your help. i dont think people give enough credits to dr. A, i dare to say he is the most talented doctors ever, people dismiss him because he is in india. Good question, I wonder what is the average price these days for fue? Is it really worth flying overseas? » really worth flying overseas? Dr. Armani is 7 dollars per graft for FUE. This is both in the Toronto and Dubai clinic. Armani for $7/graft? Considering his excellent placement skills, that’s reasonable. But if I were you, I would check out Bisinga. He’s close to you, offers a complete range of HT-types, and does top quality work. He charges about 4 euros/graft, which is excellent. I live in the States, and if I were to get a HT, flying to Europe to see Bisinga would be my choice. My other pick would probably be Cole, as his conservative approach makes sense to me. If I’m not mistaken, he charges more than Bisinga though, so I’d probably stick with Bisinga, whose skills are on par with Armani and Cole. Thanks guys for the response. I think Brussels is a good bet for me as it’s close. As you are traveling to Belgium you may also want to give us a visit. 2,11 usd per graft as of 1001 and up to a maximum of 4000 grafts in 2 consecutive days. We use 0,7 - 0,8 mm extraction instruments and lateral slit technique. Our protocol allows for sub 1% mortal transection. Also please note that our grafts are 2,3 hairs average, slightly higher then the hair average per graft during strip procedures. Yes, Dr. Armani is available for 7 dollars per graft in Dubai. That is with Dr. Armani himself performing the surgery. for those who don’t have a pile of cash inherited , i think armani shhould be ruled out. its absurd charging 7 $ for a graft. » its absurd charging 7 $ for a graft. 7 dollars per graft is not unreasonable for FUE. If you look at most doctors doing fue, 7 dollars is right around market price. 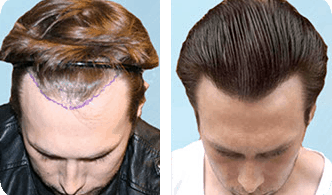 There are well known doctors out there who charge as much as 10 dollars per graft for FUE. Dr. Feller who I consider an ethical and talented doctor charges 10 dollars per graf for FUE. At Feller & Bloxham we charge hair transplant cost by the session size. Check hair implant cost, FUT, FUE cost in Great Neck, NY. regardless to that pats, maybe i should have emphasized that all those D’s who charge 7 and over, they 're greedy B. cause u never get any good satisfying results and the amounts of grafts required is always high. which leaves all those who got the cash in a good position . creativity just hungry to stuff more cash into their bellies. » satisfying results and the amounts of grafts required is always high. » which leaves all those who got the cash in a good position . » creativity just hungry to stuff more cash into their bellies. » » satisfying results and the amounts of grafts required is always high. » » which leaves all those who got the cash in a good position . » » creativity just hungry to stuff more cash into their bellies. I’m not aware of many, if any doctor who is charging 5 dollars a graft for FUE. It is a labor intensive procedure and the latest technology, so it stands to be more expensive then strip. Dr. Armani charging 7 dollars a graft is fair, it’s the market price. Some would consider it a bargain since he is considered by many the best FUE doctor out there. » stands to be more expensive then strip. Im also not aware of any doctors in Europe who are even half decent - especially not in the UK that is for sure. Imo anyone who claims to be a european HT doctor is a minnow posing as a whale because I have not seen 1 decent result from any european Dr.